We’re trying something a little different in this post. It seems like we have conversations on a daily basis with patients about how some things that physicians say are puzzling about physical therapy, rehabilitation in general, or their condition. Don’t get us wrong – we love our doctors and they are a critical part of the health care team, but there are some things we hope physicians take note of here, and things we hope informs the patient about physical therapy. It’s not just a sheet of exercises. Many times patients tell us that their doctor “gave them some exercises” to do for their condition. While that may work from time to time and people want “home solutions” nowadays, there is much more to physical therapy than exercises. We do a thorough physical assessment and manual therapy and mobilizations to help things move smoother and easier. Time and time again, therapeutic exercise, education, manual therapy, and pain management is the tried and true method to get people better. Physical therapists are experts at that and can significantly help patients lead healthier, happier lives following this treatment plan. PT clinics ARE different – it’s not just who’s closest to work or home. Like any business, there are different levels of quality. Some clinics don’t have the “vibe” that people like. Some clinics have people that have varying degrees of specialty. Some clinics, well, don’t do such a great job. Patients should be encouraged to look for a physical therapy clinic that suits their individual needs. It would really help if physicians took the time to get to know the physical therapists in the area and help the patient make an informed decision, not leave it to front office staff. Modalities don’t do a whole lot. 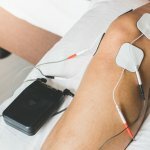 For some reason, there are many physicians that have grasped on to the idea that physical therapy is all about ultrasound, TENS units, hot/cold packs, and electrical stimulation. While these things may help at times, the evidence supporting their use is scant at best. Physical therapy is much more than passive treatments like these. Sure, they can help someone in pain “take the edge off,” but ultimately they will need manual therapy, exercise, and education to maximize their outcome. Physical therapy is an “active” process in the end. Limping is not normal. Many patients walk into our doors limping and say, “Doc said I could get rid of the crutches!” Unfortunately, that is a really bad idea. The abnormal walking pattern not only changes the mechanics of walking, but also can delay healing, increase pain, prolong swelling, and delay return of function. You should use an assistive device of some kind until gait is normalized. Patients need a few visits after any soft tissue or joint surgery. We’re always surprised how many patients tell us that “doc said I didn’t need therapy after surgery.” The problem with this is that many people unknowingly compensate after a surgery and this prolongs the healing process, much like in #4 above. Mark our words – a majority of people end up needing physical therapy more later than if they would have come right away. 3-6 visits becomes 12-15. That is obviously more time and cost on the patient. Physical therapists are trained to pick up “non-musculoskeletal problems.” Many patients come to physical therapy complaining of things that are systemic in origin, not musculoskeletal. Physical therapists are trained to recognize when a patient presents with symptoms that are not compatible with physical therapy and properly send them on to their doctor. Having a good relationship with a physical therapist helps facilitate this with patients. Many problems patients have are in areas other than where the pain is. For example, many patients complain of shoulder pain but the problem is really in the neck. Another example is that many patients have low back pain and the patient gets MRI’s, injections, etc for the back but the problem lies in the hip. If patients aren’t responding to treatment or if MRI’s are inconclusive, consider sending them on to a PT for a thorough biomechanical assessment to determine the source of the problem. Physical therapy is a better option than injections or pain medications. Several studies have shown that physical therapy is better for chronic back pain, and for tendinopathies, injections are no better than therapy after 3 months. We’re obviously a little biased but why not try the cheaper PT before an expensive MRI or try PT before a more invasive injection. Sure, injections are needed at times to help calm the pain down so the patient can do PT – we have no problem with that. However, injections aren’t a panacea for everything. We can offer many suggestions about protocols. We look at protocols regularly and wonder what the heck is going on sometimes! Either outdated exercises, lack of supporting evidence for exercises, or treatments that are prescribed that are contradictory cloud the treatment plan. Most physical therapists would invite the opportunity to collaborate with physicians on protocols. Many protocols are just guidelines to be followed and many physicians leave the door open for the physical therapist to work within restrictions, but there are many things that can be adjusted to protocols to make them more effective. Patients should not take months to see results. For most conditions, if physical therapy is prescribed right and done effectively, patients should see results quickly. For more chronic conditions, a great outcome can take time, but there should be positive trends. If not, #2 on this list may apply. We hope this list is thought-provoking for patients and physicians alike. The end goal is obviously a great outcome with as little cost and as least invasive as possible. 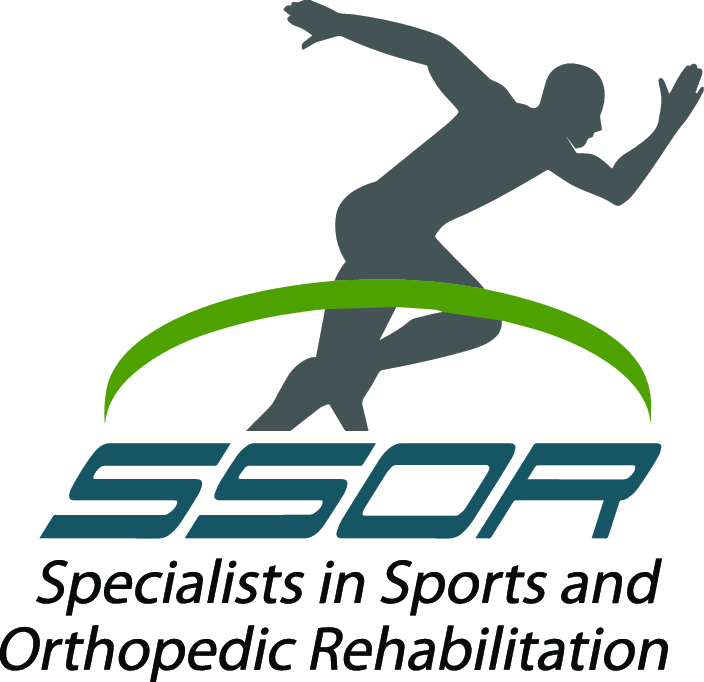 Call for an appointment to see how the physical therapists at SSOR can help you achieve your goals.